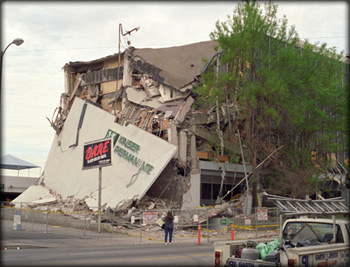 The devastating earthquakes in Northridge, California in 1994 inspired the state legislature to pass a bill (SB 1953) which amended previous legislation and mandated hospitals in California comply with new seismic requirements. In essence, those standards require that hospitals be the last building standing after a major seismic event, and that patient care areas be held to a higher standard than the rest of the structure. Our plan to meet the new seismic standards is the new South Building, which will replace approximately 18,000 square feet of the non-compliant structures at the rear of our hospital. The approximately 21,000 square foot replacement building will eventually house the patient-care related departments which are currently in non-compliant structures. We will retain portions of the older but functional structures for administrative and other non-patient care uses.